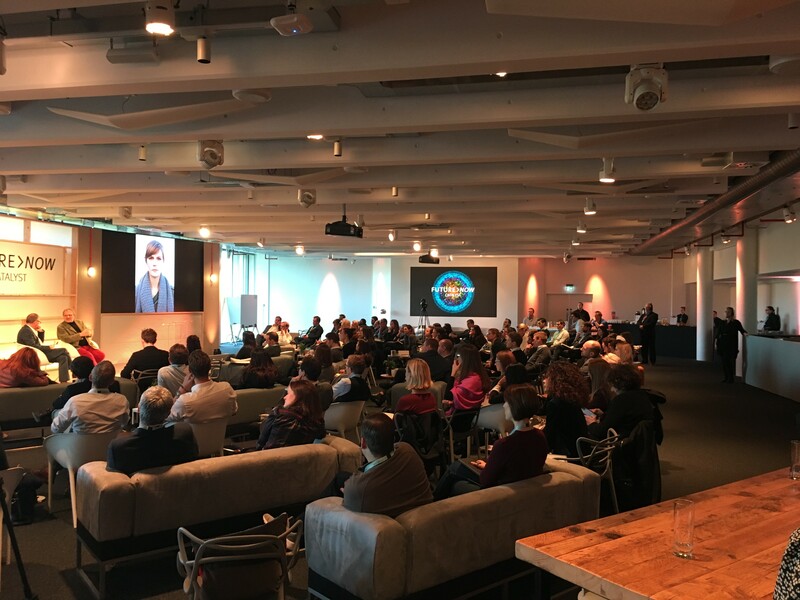 Tim gave a keynote at Sky's Future Leaders "Catalyst" summit in London. Tim was one of the keynote speakers (along with Steve Martin; Oliviero Toscani, Benetton; Rana el Kaliouby, founder and CEO of Affectiva, and others) at the annual Sky Future Leaders summit in London that presented game-changing ideas and key trends to Sky’s cohort of high-potential leaders. Tim’s talk focused on the big issues surrounding the future of work, exploring the changing patterns impacting the workplace of the future: societal and demographic trends, difference in the workplace, the rise of flexibility, the growth of connectivity, and the impact of exponential technologies such as AI, AR/VR, and Blockchain. What are the most important workplace changes on the horizon, and how can we best prepare for them? What will employees want in the future? What limits (if any) should we place on the future growth of automation and robotic technology in the workplace? How can we support our leaders to help their teams to find their true motivation at work?